Home • News • Facebook – Hello Alumni! 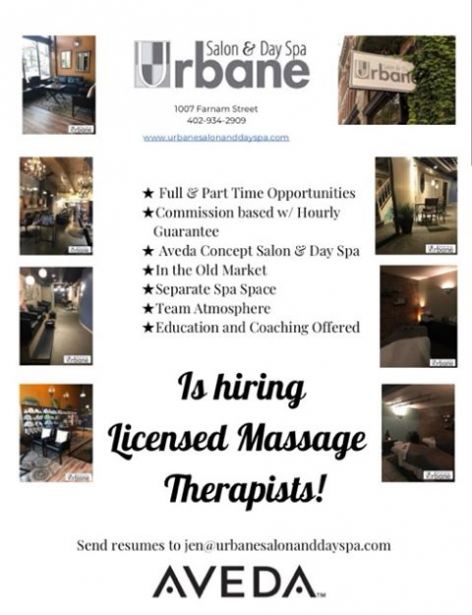 Urbane Salon and Day Spa is looking for Massage Therapist. See their flyer below.